Trend is the perceivable strengthening and spreading of certain processes in society that has impacts on the behaviour and habits of the consumers in the foreseeable future. Trends can also cause changes in the lifestyle, behaviour or attitude of certain social groups, e.g. influencing their decisions concerning the choice of products, and also its effects on expectations towards producers. Trends are worth to be defined in a system: they can be differentiated according to its effects at the levels of time, industrial extension, and groups of consumers they affect. Trends are to be defined concerning all these three levels of aspects. 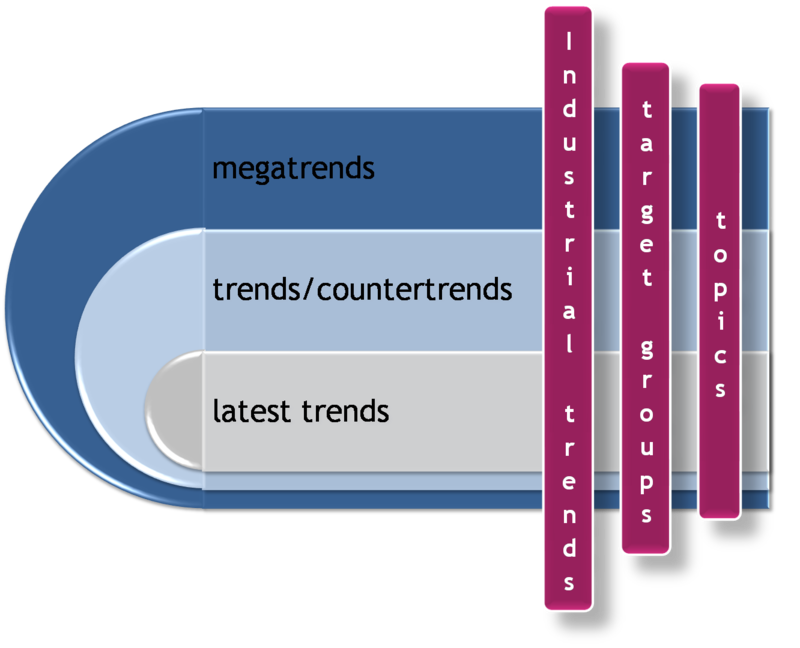 They show whether we have to deal with megatrends, trends/countertrends or the latest trends.